Preface: this post is part of the How to get a Salesforce developer job series. The smartest developers aren’t always the ones succeeding. So strange. You’d think the best programmer in the room would be the most valuable. But time after time I see lesser Salesforce developers succeeding instead… but why?! 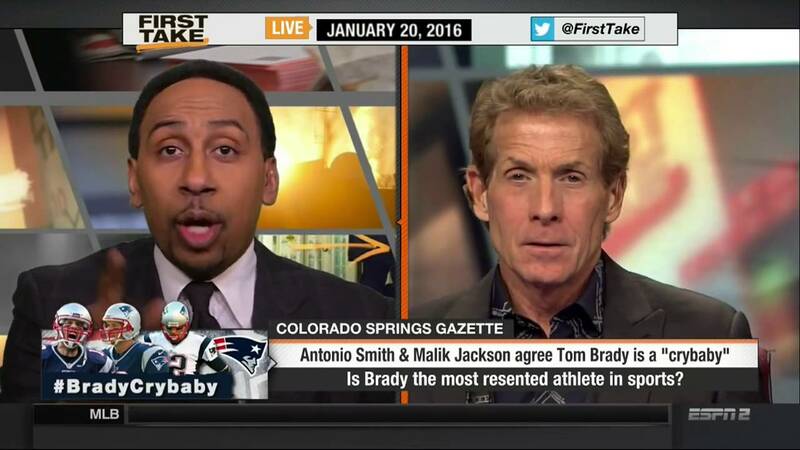 Take a look at First Take, ESPN’s #1 rated sports talk show. The hosts, Skip Bayless and Stephen A. Smith, honestly, are total clowns. They don’t provide deep sports analyses. They don’t make compelling arguments. And they regularly get outclassed on their own tv show by people who actually know what they’re talking about. Yet, I love their show and I can’t stop watching it! Why? They’re entertaining. And they accomplish ESPN’s most important goal: get lots of viewers! Similarly for us, the best Salesforce coders often don’t provide the most value to the team. Think about it. The most important goal for the majority of Salesforce orgs is to solve business challenges. Note that I said business challenges, not technical challenges! Surely, technical ability is important. But not as important as solving business needs. The crazy truth is that a lot of times the code is the least important part of a project! So yes, you do need to know how to code to be a strong Salesforce professional. But don’t feel discouraged if you’re not the best coder on your team. You can be immensely more valuable by first focusing on your team’s goals, then on the code! P.S. Check out the Taylor Swift Principle for more tips on succeeding without being the best coder! If you want to practice project management, then start by creating your own project (coming up with an idea), then undertaking the task in an Agile or Waterfall approach. This will help you develop skills related to the concept, design and implementation of an app. Then load the data (into your orgs objects) using the Data Loader or JitterBit Data Loader (which is pretty cool). Love it! Going for an interview and this helped me focus on what is important! Thanks!!!! Great! Hope it goes well! Great post David. Hope you’ve been having fun with the new addition! I agree with you David, very inspiring..
Agree with everything stated and conveyed in this post. That said, I’m an avid viewer of First Take and can say without any reservations that Stephen A. Smith is well apprised on the facts and articulate to a degree in which anyone that decides to engage with him on any topic with sports being the subject matter. You’re more than likely going to have a rough time. Stephen A. is by no means a novice or intermediate when it comes to his subject matter expertise. Skip Bayless on the other hand has been dismantled on numerous accounts by Stephen A., Richard Sherman and many others. Great post David! Thanks for sharing! Furthermore, I’d advocate your point about business challenges verses technical challenges. You couldn’t be any more right here. Technology offers many tools and solutions, as many of us are aware. Understanding and identifying how said tools/solutions enable business processes is the key. When considering sizable implementation projects to address technological issues with a tool. Typically, what’s driving the sponsorship and support of said projects is the shared understanding amongst stakeholders that the purpose to address technological issues is to revisit and better understand the business processes reflective in the tool and more specifically how to ensure process alignment and sustainability going forward. Again business challenges being the driving factor here. LOL – you’re completely right, Stephen A. is by far the brighter of the two! Skip Bayless is either a clown or the best troll ever. I can’t decide! Another energizing message from our beloved teacher! Thanks David!! I’m pump up again learning new things!